We're into the top 20 of my 50 favourite games ever. The competition is getting fierce. Onward toward the top 10! It’s bizarre to think that Unreal Tournament is a spin-off game, so well has it established its legacy in the gaming canon. 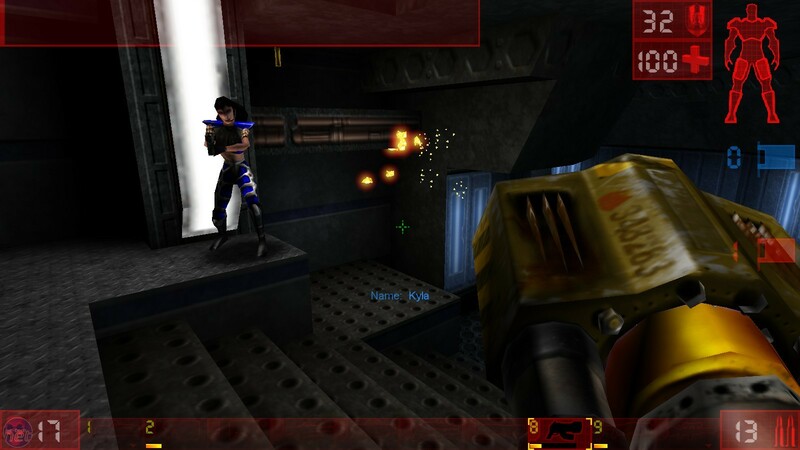 Indeed, Unreal Tournament has enjoyed more sequels than the series from which it stemmed. Some will point to 2004 as the finest example of the series, while others will jump up and down insisting that Quake III is superior to all the UT games. But this is MY list, dagnabbit, and the original Unreal Tournament is and probably always will be my favourite multiplayer shooter. It’s the variety that does it for me. In maps, modes, and weapons, Unreal Tournament is a rich cornucopia of multiplayer gun-play. I know the layout of maps like Facing Worlds, LavaGiant, Deck 16 and November inside-out. Put a Flak Cannon in my hands and I will make mincemeat out of anyone who dares step into my crosshairs. And Assault Mode, oh boy, Assault Mode! Epic had the audacity to take the madness of multiplayer gaming and add structure to it, missions and objectives that took place in beautifully conceived maps. Leaping out of a helicopter to hijack a moving train, assaulting an underwater facility, a miniaturised recreation of the D-Day landings in Overlord. Unreal Tournament is just bursting with ideas, so much so that id deemed to release a team-based expansion to Quake III about a year after the initial release. That’s all you need to know about this particular rivalry. UT is the daddy, and I’ll stick a Redeemer in the maw of anyone who says otherwise. When I started writing this particular entry the introductory music for Amnesia played in my head, and I genuinely shivered. Those opening chords played on a double-bass from hell set the tone for Frictional’s bone-chilling masterpiece. Casting you as Daniel, a young, well-spoken Victorian archaeologist, Amnesia sees you exploring the tumbledown stonework of Castle Brennenberg, searching for answers as to why an earlier incarnation of you decided to wipe their own memory. 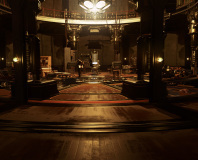 In this traditionally Gothic setting, Frictional revolutionised horror games. On a systemic level, Amnesia is designed to keep you constantly on edge. The lack of weapons means you’re only able to run and hide from the creatures that prowl the corridors of Brennenburg. The insanity system means that looking directly at one of those creatures will start to drive you crazy, so you only ever catch glimpses of them in your peripheral vision. You also can’t hide in the dark for too long, forcing you to proceed onward, often into danger. 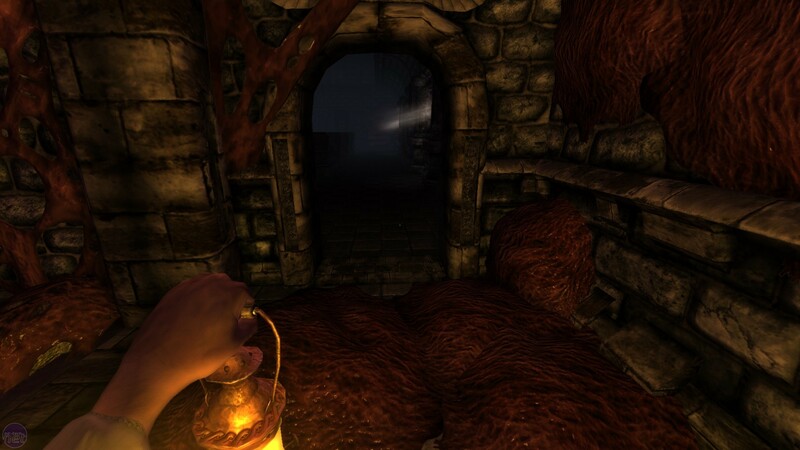 But Amnesia also understands that the best horror is internal rather than external. The only thing scarier than being chased by a monster is the sudden and clear realisation that you are one, such is Daniel’s fate as what he has done is revealed to him in his attempt to rid himself of an ancient Egyptian curse. Amnesia is such a cleverly designed horror game that it can make a splash in some water one of the most terrifying things you will ever see. It’s also a great little narrative puzzler, assuming you stand the tension. 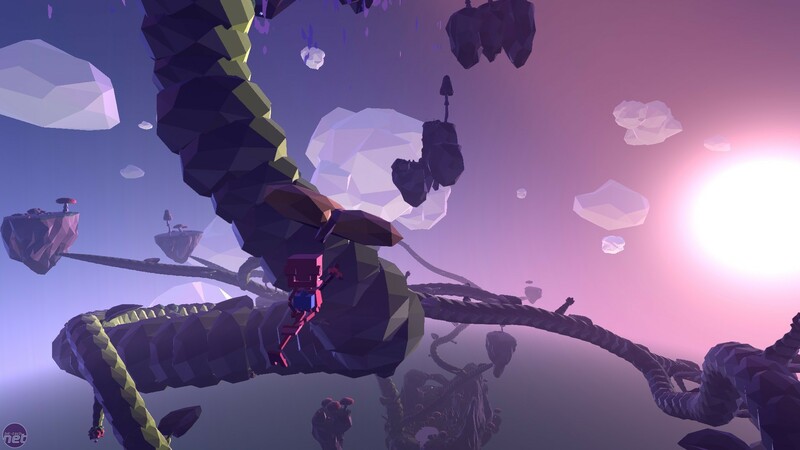 I will continue to sing the praises of Grow Home until the entire world listens. Ubisoft’s joyous climbing simulator is a downright magical game. It casts players as a relentlessly cheerful robot named BUD, who is tasked with retrieving a seed from the Star Plant, a ginormous flower that grows so high its petals poke out into space. But at the start of the game, the Star Plant is just a building-sized bud, and it’s up to you to grow the plant by ascending its stem and feeding little offshoots into the central plant. 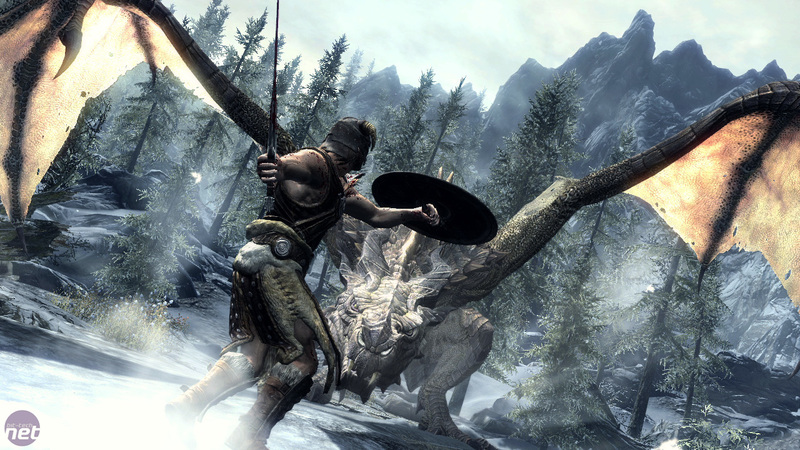 From this simple premise, Ubisoft created one of the most fulfilling games around. The act of climbing the steam is a wonderfully manual process, as you control each of BUD’s hands, while his legs figure things out procedurally on their own. 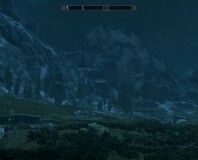 As you ascend the plant higher and higher, the scenery changes around you. Verdant meadows give way to snowy mountains. The curvature of the planet becomes visible below you. The atmosphere thins to reveal the stars and the spaceship where you started the game in the first place. Grow Home is a magnificent thing; positive, peaceful, and with a palpable sense of progression. It costs a fiver and can be completed in a single evening, and I guarantee it will be one of the best single evenings of gaming you’ll ever have. Monkey Island may be the most fondly remembered of LucasArts' adventure games. But Day of the Tentacle is perhaps its crowning achievement. Whereas most adventure games use puzzles as ways to break up the story, Day of the Tentacle’s puzzles are all based around the same theme – time travel. The three main characters are each sent to a different time-period, but can interact with each other through their time machines (converted portaloos known as Chron-o-Johns). An object from the past can be sent into the future, and an object from the future can be sent into the past. This enables LucasArts to create some stupendously loopy puzzles, while ensuring that most of the puzzles all possess the same underlying logic. 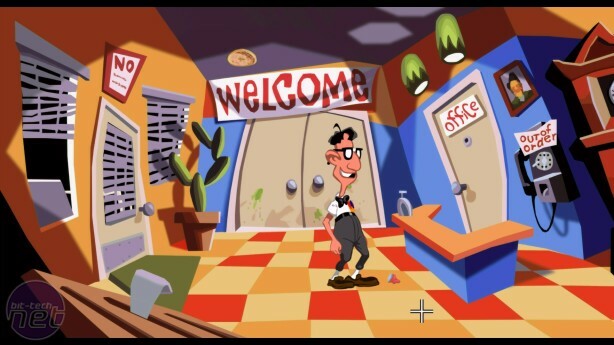 Day of the Tentacle is still a typically tough LucasArts adventure, but if you get stuck you at least have the knowledge that what you need to do probably involves manipulating time in some way. Add to this LucasArts' typically warm and witty humour and some strikingly colourful art design, and you’ve got what is to my mind the best adventure going. 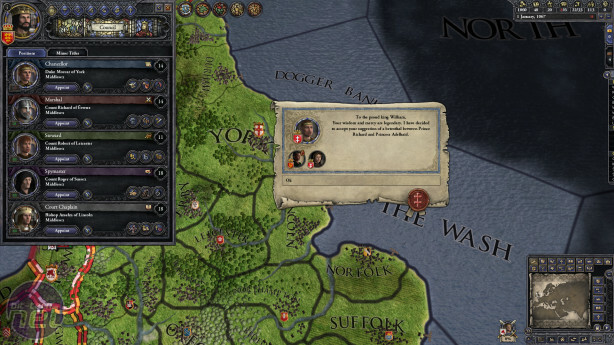 Crusader Kings II may be a grand strategy on a scale to make many grand strategies quake in their boots, but what makes it such a bold and unique strategy game are the petty familial squabbles that writhe within its complex political plots. There’s the usual army building, region conquering and diplomacy you would expect from a game of this ilk. But in addition to that is a wonderful system that enables politically astute marriages, devious assassination conspiracies, and outright power coups. Crusader Kings simulates the cut-throat bastardry of the middle ages with stunning effectiveness. This is a game in which it can be prudent to poison your youngest son in order to preserve the legacy of the eldest. Where a marriage that gains you huge…tracks of land ends in disaster because your resentful wife murders you in your sleep. Where priests conspire to murder children and a ransom can win you a war as effectively as an army. It’s clunky, complex and difficult to get into, but once you are in it is powerfully seductive. Arkane's newest immerse sim looks like the bee's knees.